ASDA Supermarket is conveniently positioned on Scrooby Road, approximately 7.90 miles south from the centre of Doncaster, in Harworth (close to Former Harworth Colliery and Bircotes Library). This store serves patrons chiefly from the neighborhoods of Styrrup, Serlby Hall, Bircotes, Scrooby, Harworth and Bawtry. Today (Monday), you can swing by 7:00 am to 11:00 pm. On this page you can find all the information about ASDA Harworth, Doncaster, including the hours of opening, location description, direct phone and further significant details. ASDA Supermarket is situated in a convenient space immediately near the crossroads of Shrewsbury Road and Scrooby Road, in Harworth, Doncaster. Simply a 1 minute drive from Church Road, Grosvenor Road, Snipe Park Road or Waterslack Road; a 3 minute drive from Bawtry Road, Tickhill Road or Blyth Road; and a 10 minute drive time from A1 (M) / Doncaster By-Pass and High Street. To find this store easily, use the following navigation coordinates: DN11 8AB. If you are traveling by bus, you should alight at Sports Ground, Grosvenor Road, Colliery or Cricket Ground. In the nearby area there is Harworth Cemetery, Bircotes Leisure Centre, Hudson's Yard, George Beck, Styrrup Hall Golf & Country Club, Memorial Sports Ground, Dhl Commercial and Serlby Park Golf Club. The total number of ASDA locations presently open in Doncaster, South Yorkshire is 8. For more ASDA branches near Doncaster, navigate to this page. Please take into account that the open hours for ASDA in Harworth, Doncaster may shift from common times during legal holidays. For the duration of 2019 these changes pertain to Xmas Day, New Year's, Easter Sunday or Black Friday. To get further details about seasonal hours of business for ASDA Harworth, Doncaster, go to the official website or phone the customer service line at 0800 952 0101. Opening Times in the UK's aim is to supply you with the most accurate information as possible. If you find errors in the address or hours of operation for ASDA in Harworth, Doncaster, please let us know by using the report a problem form. 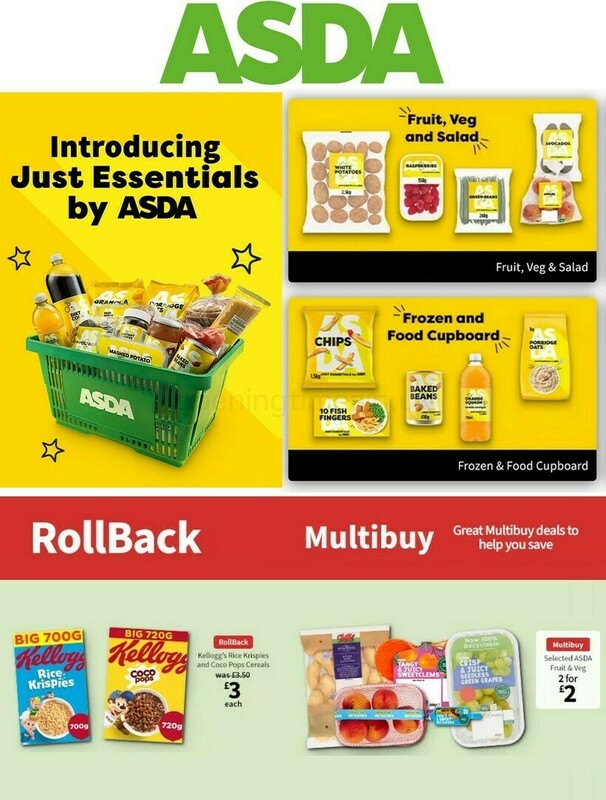 In the space below, you may write your comments on ASDA, which can assist other patrons in their retail decision and provide them with further information.